With a scale appropriate for any number of smaller home office spaces, dorms or bedrooms, the Tempe Collection will provide the look and style you want in your home. The transitional feel of the group comes from the richly hued faux marble desk top and the minimalistic design of the accompanying dark brown bi-cast vinyl desk chair. 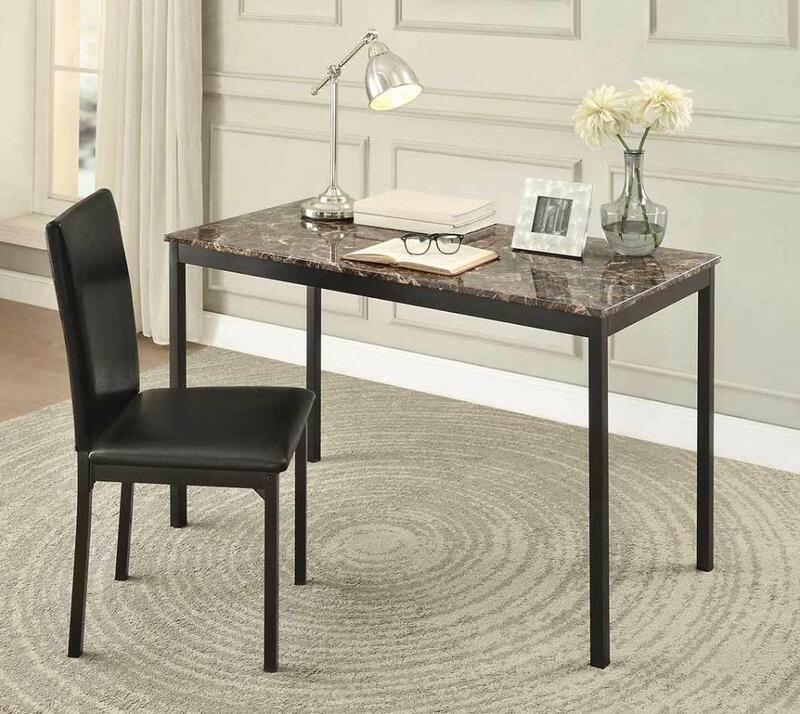 FEATURES: Black Finish ~ Transitional Style ~ Desk & Chair Set ~ Faux Marble Desk Top ~ Dark Brown Bi-Cast Vinyl Chair Seat.